The campaign itself will run until it uses up whatever spend is left in the account and then it is stopped. Keep in mind that cancelling a campaign also erases the campaign's momentum derived from the data streaming in Google's algorithm to improve indexing. Cancelling a campaign to replace it with a new one again down the road means starting over from the ground up to steadily gain traction. In the meantime, your competitors, who haven't cancelled their campaign, will have an already tenured positioning when you decide to re-surface. Assuming you are starting over with the identical budget as with your first campaign, you essentially have wasted money as you are re-entering the scene as a new advertiser. 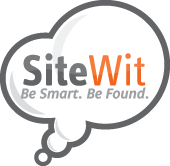 So, rather than cancelling your campaign, reach out to SiteWit and share your particular needs. Perhaps your industry varies according to seasonal factors? Share your concerns with us. We will investigate the most appropriate manner to "pause" the campaign without incurring any adverse effects. We can keep the campaign settings "humming" in the background with a very minimal cost. This way, you will not send the wrong signals to the search engine and will capitalize on the traction you gained whenever you decide to fully re-activate the campaign.